Almost since the night that the Cubs ended the longest championship drought in professional sports and David Ross hung up his catcher's gear for good last November, the charismatic backstop has been on an almost non-stop, farewell victory lap. Since David Ross became the oldest player to hit a home run in World Series play and that final out was recorded against the Cleveland Indians, "Grandpa Rossy" has been hired as a special assistant to Cubs GM, Theo Epstein, embarked on a broadcasting career with the "World Wide Leader in Sports," ESPN, has appeared on famed television talk-shows, like Ellen DeGeneres, sung the stretch and tossed out the first pitch at Wrigley, and written an autobiographical book about his time on the diamond, among other endeavors in the public limelight. "G-pa" has been a major ratings generator for the show, even getting me to pay attention to the silly show for the first time in it's twenty-four seasons of existence. Admittedly, I fully expected the aged catcher to be among the first of the B-list candidates to be voted off of the long-running contest. After all, signal-caller knees aren't famous for being limber and David's have taken nearly 6,000 innings worth of abuse - they do call him "Grampa" for a reason. Nevertheless, much like the Cubs being the perennial underdogs, "Gramps" danced his way all the way to the finals of the program, besting even an Olympic gymnast in Simone Biles. There's simply no doubting that, in the immortal words of Jacobin Mugatu, Rossy "is so hot right now." 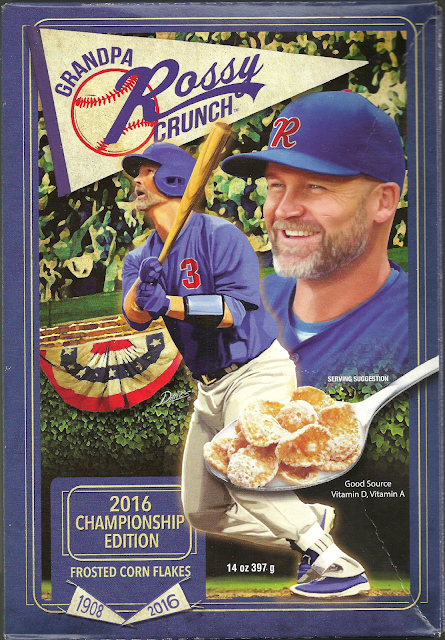 With that being the case, perhaps it shouldn't come as a surprise that the most popular backup catcher in the lengthy history of Chicago baseball now has his very own line of breakfast cereal. First, Sammy Sosa started the tradition of Windy City baseball-themed cereal with his "Slammin' Sammy's Frosted Flakes" waaaaayyyyyy back in 1999. Then, Anthony Rizzo muscled his way onto breakfast tables across the state of Illinois with his own "RizzO's" toasted oats, a touch over one year ago, with a revival of the brand coming just recently hitting Jewel-Osco shelves. Next to the RizzO's at your local, Chicagoland Jewel, you can now find the second of the "2016 Championship Edition" line of breakfast cereals. Gracing the front of the box, we have a cartoon-ified version of the cult hero cracking his now-famous World Series long ball, superimposed over the capacity-filled Wrigley Field bleachers, with ivy and bunting abound. The real thing might have occurred in Cleveland's Progressive Field, but I think we can all agree that the Friendly Confines make for a better setting. The pennant-frame for the cereal name is also a nice, subtle touch. Of course, like Anthony Rizzo's contribution to the Second City fans' diet, the day-starter is not actually licensed by Major League Baseball and thus requires the removal of all Cubs markings by airbrushing and Photoshopping. That said, while the misplaced uniform number and blue "R" hat are rather noticeable, I wouldn't say that they detract too much from the artwork which graces the front of the box. The entire back panel is used for what is basically an advertisement for the ol' catcher's aforementioned memoir, Teammate. As a die-hard Cubs fan, this particular book obviously catches my interest, as anything with the logo of the Chicago National League Ballclub will do. That said, I hear that there is plenty of information within these pages which will appeal to the general baseball fan, including how Rossy successfully made the transition from clubhouse problem to exceptional teammate, his character growth and rise to notoriety in Boston, and how a drunk-dialed phone call from Jon Lester helped convince him to sign on the dotted line with the Cubbies. If any of that "catches" your fancy, the back panel would like to make it clear that you can pick up a copy this May (*checks calendar* that's now!). 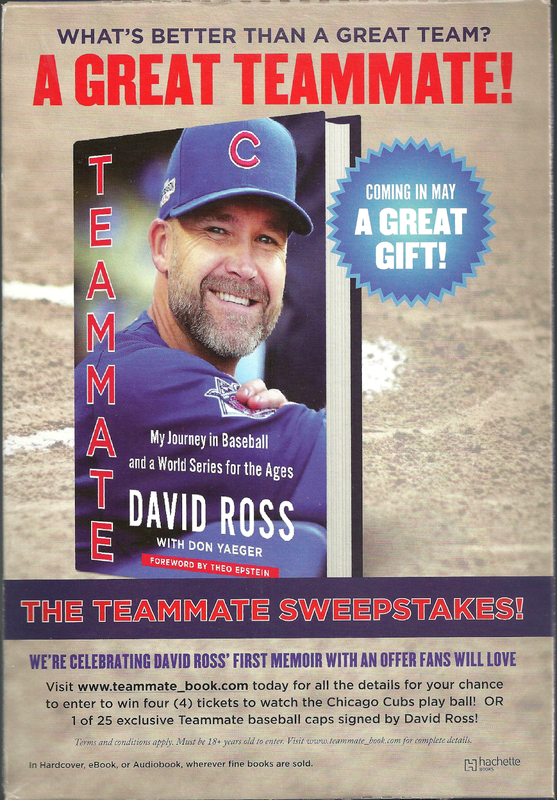 Furthermore, you can also visit the official website for the piece of literary gold for a chance to win some Cubs tickets or an exclusive, autographed baseball cap from the man himself. 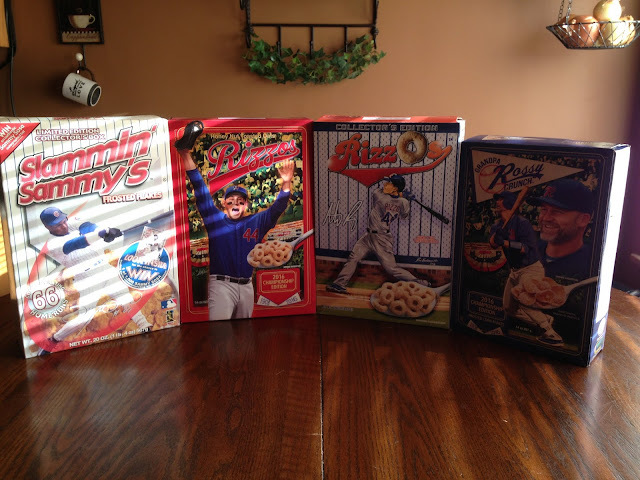 As I've mentioned in both of my posts about RizzO's, what these specially-branded boxes of cereal are missing is the inclusion of an oddball baseball card - the artwork just screams for the unlicensed baseball card treatment. Unfortunately, the closest we come to such a thing on any of these boxes is the David Ross bio found on one of the side panels of Grandpa Rossy Crunch, where you get some of the veteran's vitals, plus career highlights and achievements. Also - his Twitter handle, because we live in a social media-obsessed world. 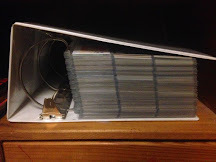 It's still not a card, though. On the opposite side, we have the nutrition facts, as required by the Food and Drug Administration. Along with that, we have the markings of Jewel-Osco - the sole stocker of the new breakfast staple - and PLB Sports, the distributor for RizzO's, Grandpa Rossy Crunch, the full line of 2016 Championship Edition cereals (more on that in a minute), and many other athlete-branded lines of food throughout the country. Because I can, allow me to present to you my full collection of Chicago Cubs breakfast cereal boxes, in all of their Northside glory. In seeing all of these gems together and in one place, I've now noticed that, apparently, Cubs fans are only allowed to eat off-brand Frosted Flakes and Cheerios - who knew? Looks like the World Series MVP will be joining his championship teammates, getting a spot in the most important meal of the day. As of now, Zobs appears to be the last in the line of 2016 Championship Edition cereals. I can't help but wonder what kind of cereal "Zorilla Crunch" will "ape." Didn't Cocoa Krispies used to have a monkey as a mascot? For now though, I'll just have to sit back and admire my Sosa, Rizzo, and now Grandpa Ross boxes, as part of my suddenly blossoming cereal box collection. Heaven forbid someone like Kris Bryant or Jake Arrieta appear on a Wheaties box or something... forget family photos and the dog's ashes - I need shelf space!!! I feel as though I should also mention that this is not Ross' only connection to the breakfast cereal industry either. You see, he also has an endorsement deal with Kellogg's Raisin Bran; I guess his contract doesn't preclude from also throwing his face on another brand of cereal. Furthermore, he sure does appear to like those flaky cereals, doesn't he? In the end, you might say that he's attempting to "milk" the cereal market for all that it's worth! 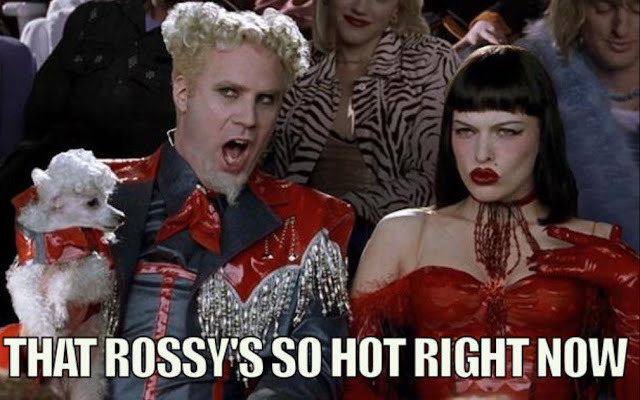 That David Ross... he's so hot right now. Looks like a great source of Vitamins D and A.